A variety of external elements, like pollution and climate changes can weaken the skin’s protective barrier, affecting your skin’s health over time. 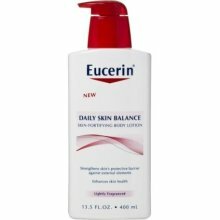 Eucerin Daily Skin Balance — Skin-Fortifying Body Lotion ($9.99) helps balance skin’s natural pH level to enhance its natural defenses. Its patent-pending formula with provitamin B5, glycerin and a pH5 buffer provides all day moisturization while strengthening your skin’s protective barrier against external elements. 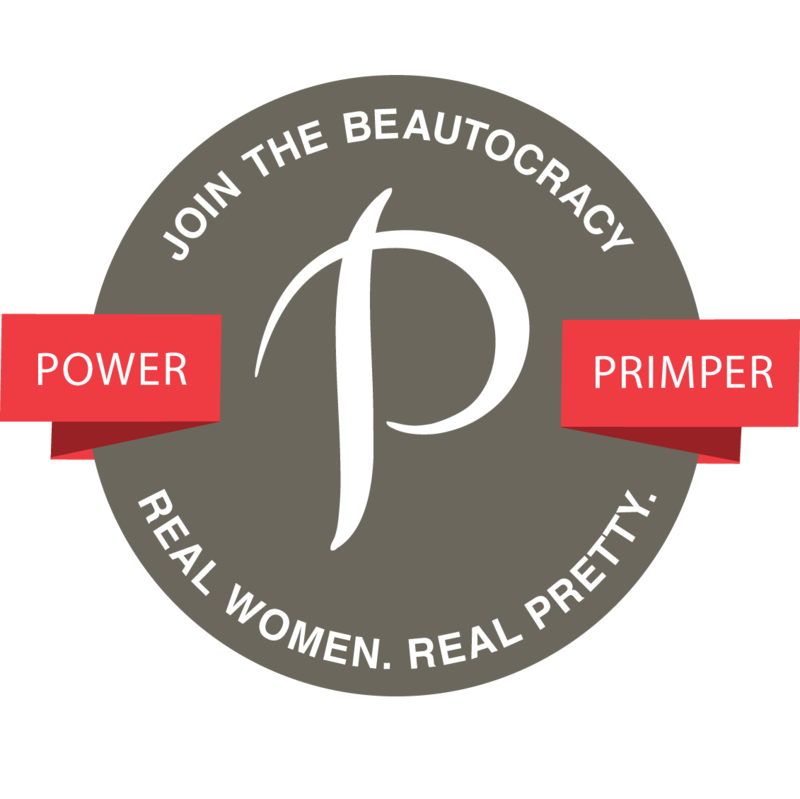 The product is relatively thin, and it spreads quickly and evenly. Though it does spread over the skin quite easily, this lotion leaves behind an unpleasant sticky/greasy film. There’s nothing I hate more than applying lotion and then feeling like I’ve got to go wash it all off in order to touch anything. It didn’t even leave my skin feeling moisturized, just sticky. Eucerin claims that the Eucerin Daily Skin Balance Skin-Fortifying Body Lotion is “lightly fragranced;” I disagree. The first thing I noticed about this lotion is the heavy perfume smell that lingers for some time. The thing that keeps me from purchasing a moisturizer/lotion most are scents and this was a scent I just couldn’t get past. Plus, when wearing an actual perfume this lotion would clash, and alter the scent of the perfume. Another thing about this lotion is it started to break me out in little hives, and made me itch. No good! I’m not sure if it’s because of the scent or some other ingredient, but, I stopped using it after I noticed this was the root cause of the small rashes, and itchiness I was suffering on my body. No. If you are like me, and dislike highly fragranced lotions, and products that leave a sticky residue, I would not suggest you purchase this. My favorite Eucerin product that actually works well in keeping my skin moisturized, dissolves quickly without the greasy/sticky film, and is unscented, is the Eucerin Plus Smoothing Essentials Lotion. Disclaimer: Product provided by PR company. See disclaimer page for more information. Guest Post: Do you suffer from dry skin during the winter? Tasha from Belle Butters has some tips!